Thank you for the creative ideas aimed at activating the façade of the Omnia Hall in Bucharest, a future home for contemporary dance. Vote and share your favourite! Mary’s proposal consists of decorating the main façade with 3 transparent banners painted inspired by dance motifs and the past of Omnia Hall; paintings on the walkway windows and an interactive curtain below the walkway. Reg (Andrei Sendrea) is 20 years old, from Bucharest and is currently studying Graphics Design at the National University of Arts – Bucharest. Wanting to experience something different from the traditional art techniques, he chose to focus on the graffiti area. Thus Reg has developed a vibrant illustration style based on a combination of abstract components and elements inspired by street art. Reg, teaming up with Livia, were the winners of Pictăm Pereți Open Call, organized by feeder.ro & Lente. Exist is a project that I’ve started in Poznan, Poland, using the doors that could not be accessed anymore, the opposite meaning of the emergency sign, a place which doesn’t offer an exit or an entrance anymore. I focused on abandoned cultural and historical buildings using as main artistic and communication method the EXIST sign that I have chosen (*EXIST sign is the colour and typography as the emergency EXIT sign). For this project the sign will have 16x45cm. I want to build a light box with the same typography and colour of the emergency sign. (more information, can be found in the attached document).The presentation of the word EXIST has two perspective views: from one perspective you can see EXIT and from the other EXIST). For more detail, the sign will be 3 times bigger than the normal emergency sign. The purpose of the light box? The space becomes the artwork. By adding the EXIST emergency sign I offer the viewer a closer look at the canvas. Once a building is abandoned it loses its purpose, whatever that purpose may have been (cultural, historical, social) and by adding the sign I’m trying to captivate the viewers and make them remember and maybe even re-give a purpose to the certain place (even though it may be just for a moment). The work belongs to the #ContemporaryLifeStyle project that depicts representatives of the past that correspond to the present style and lifestyle. The project was born after a reflection on the daily life characteristics of this generation, and a comparison with the lives of grandparents in which I discovered that there are existential differences. We see their daily use and we can not live without them, yet there were generations behind us who did not have the problems or our solutions. In works, the elders and the elders are surprised in different hypotheses, some of which are even impossible in real life. Solving sentimental problems through the Tinder application or by being on the Internet, telephone, are subjects that seem normal to us but hard to conceive for their generation. They did not eat from MC and yet they did not starve, did not smoke forbidden things, and yet they are not the most stressed people. The question now comes, is everything that surrounds us useful, or we have other alternatives that we do not take into consideration. We are evolving quickly without making the most of the useful and harmful things. We do not have time to reflect on us because we are surrounded by solutions to any problem encountered. Andra Pană aka Feather is a Romanian Graphic Designer, Illustrator and Animator. 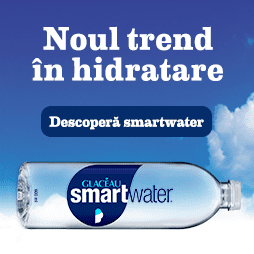 She graduated Unarte Bucharest in 2012. Teodor Cristian Matei is living and working as a digital illustrator in London. 22 years of age, he can trace his passion for drawing since early childhood. Valentin Ciobanu is an architect, brand-designer, interior designer and founder of a prototype furniture workshop. He acts as an architect (general design and project management), and as a furniture designer in the same office – ESTetica. His experience ford large-scale public projects. Ionuț Pătrașcu is an architect and computational designer. During his studies, he explored, through workshops and volunteer activities, sustainable architecture, traditional vernacular techniques, built heritage rehabilitation, architectural journalism. But, he best finds himself in the passion for algorithmic design and digital manufacturing as part of the ZEST Collective team. Who is the author of the artistic intervention you would like to see produced in the Un-hidden Bucharest Open Call @ CNDB, Omnia Hall? Mon 17 July // Start! Un-hidden Bucharest is an urban regeneration project imagined as a series of 3 public signals aimed at humanising the city and promoting its exploration through art in an alternative cultural route that recommends the most remarkable artistic interventions in the public space.The three urban signals are produced in collaboration with the project partners – CNDB, Cinema Marconi, Lente, activating, through art, the public spaces they share with locals and tourists. The selection of the winners will be made by the public alongside the jury composed of Save or Cancel team and representatives of the National Dance Center Bucharest team. 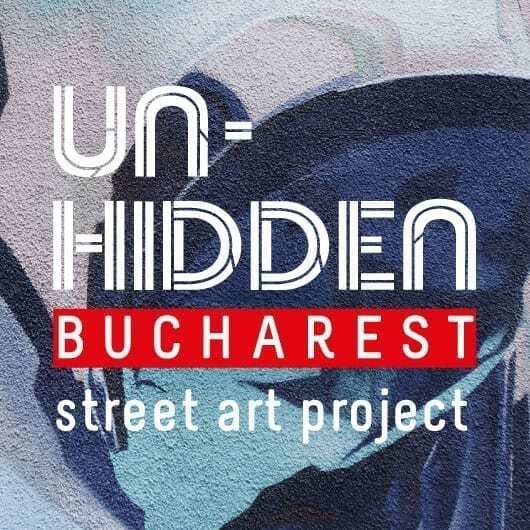 Un-hidden Bucharest is a cultural project produced by Save or Cancel via feeder.ro, co-funded by AFCN. Partners: CNDB, Lente, Cinema Marconi.